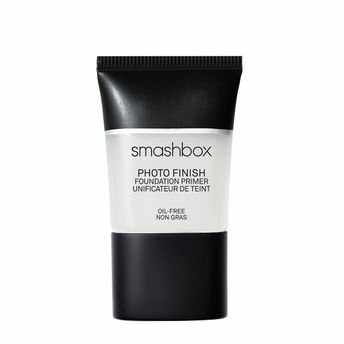 Now available in a travel-size tube for flawless skin on-the-go, This primer is the first product created at Smashbox's photo studios L.A. Developed to help make makeup look better and last longer on-set-it's still Smashbox's bestselling product and the best way to start your makeup every day. It instantly blurs fine lines and pores, leaving skin with a velvety-smooth and even finish. Explore the entire range of Face Primer available on Nykaa. Shop more Smashbox products here.You can browse through the complete world of Smashbox Face Primer .Alternatively, you can also find many more products from the Smashbox Photo Finish Foundation Primer range.